Doctor Strange is now in Australian cinemas and is distributed by The Walt Disney Company. Doctor Strange brings a new brand of superhero to the Marvel universe who relies more on the power of the mind, spirituality and inner strength rather the traditional battle of the brawn and super-gadgets. Although visually spectacular with an exceptionally strong cast, Doctor Strange has a recycled plot not unlike other Marvel films and a less than satisfying finale. 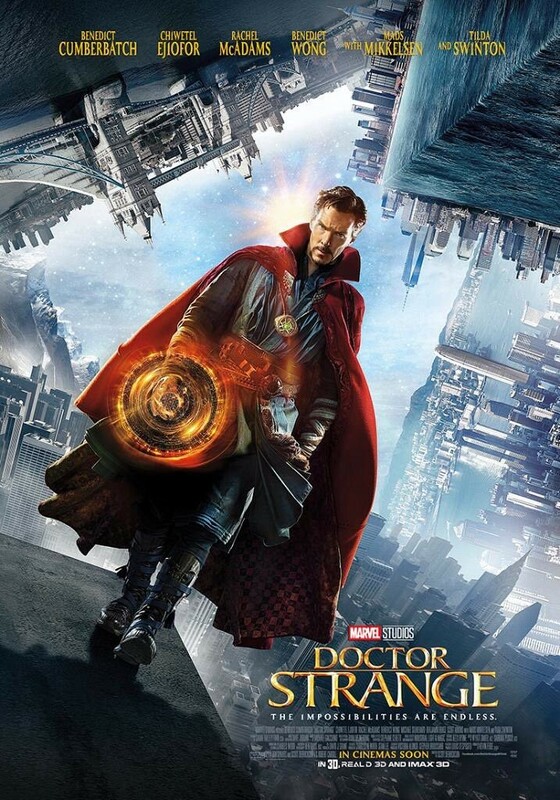 Egotistical and arrogant genius neurosurgeon, Dr Stephen Strange (Benedict Cumberbatch) feels like he has had his life ripped from him when a serious car accident leaves him with seemingly irreversible nerve damage to his hands. In a last desperate move to find a way to restore his body to the way it once was, he travels to Kathmandu where he believes he will receive help spiritually, but finds that he enters into a world of sorcery that is overseen by The Ancient One (Tilda Swinton). As Stephen opens his mind, he finds that this world is not all it seems and that he may be the one to protect it from the Dark Dimension. Doctor Strange is a rather deceptive film. It is wrapped up very nicely to look as though it is a breath of fresh air to the Marvel Universe with a new type of superhero in a strange new world, when it really is an atypical superhero introduction film. It has rightly drawn comparisons to Robert Downey Jr.'s Iron Man as the two lead characters in both films have the same initial character traits and embark on the same journey of self-rediscovery after life-changing events. 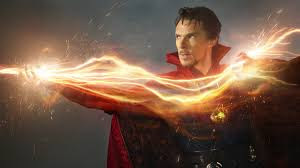 It is, of course, obvious that Dr Stephen Strange is going to become the hero of the story (hence the name of the film), yet the rest of the film is unpredictable, but unfortunately not in a good way. Spending the latter half of the film wondering where it is going is normally perceived as a positive, but not when the finale is met with the exclamation of "Was that it?" However, the film's downfalls are disguised by it's breathtaking visuals and incredible special effects. Doctor Strange is a film that must be seen in 3D and on as big a screen as possible to be able to grasp how exquisite it truly is. The creation of an alternate dimension is sublime and beauifully original (although some scenes do replicate Christopher Nolan's Inception). The only criticism that can be said for the visual aspects of the film is that the make-up for Mads Mikkelsen as Kaecilius and his cohorts is rather lack lustre with the over-obvious use of glitter. And while the story falters, the stellar cast do all they can to make the film work. Benedict Cumberbatch as Dr Stephen Strange is a perfect piece of casting. Cumberbatch has an extraordinary screen presence and dominates every scene he is in just like a hero is supposed to do. He brings his dry, but amusing sense of humour which, as always, works well for him and adds to the enjoyment of the film by living up the dialogue. Rachel McAdams also continues to further impress in her role as Strange's love interest, Christine Palmer. Always charming and likable, she actually does bring something new to the Marvel superhero love interest in that she is not the damsel in distress, but the voice of reason who is not as much in awe of Strange's new found powers, but more irritated at the absurdity he has brought to her life and career. Doctors Strange could well have been just another run of the mill superhero film, yet the filmmakers have dressed it up to be something that seems original with it's extravagant visuals and solid cast who each bring something new to the film.